James R. Alburger has been teaching voiceover for more than two decades through his VoiceActing Academy in San Diego, CA. He is the author of "The Art of Voice Acting," considered the "bible" of voiceover and the textbook used by more than two dozen universities. James is also an 11-time Emmy recipient for audio production during his 25-year career with NBC. He has directed and coached some of the top voice talent in the U.S. He also handles location sound, audio post-production, dialog coaching, directs voiceover and ADR sessions, and provides voiceover for his clients in the film and video industry. To say the least, James Alburger knows audio production and knows how to get the best performance from his voice actors. CIGMA MEDIA is the video production unit of VoiceActing, LLC. I work with film and video producers and directors, and corporate clients to create great sound for their film and video projects. 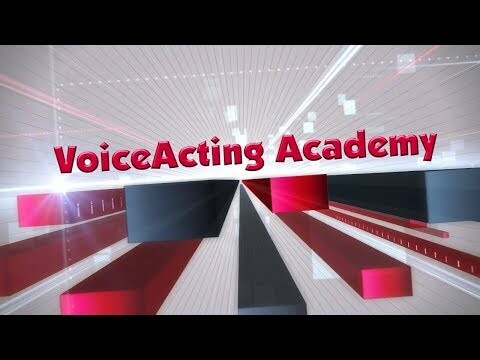 VoiceActing Academy is the training and coaching unit of VoiceActing, LLC. During the seven years between 2007 and 2014, my business partner and I co-executive produced a series of 5 International voiceover conventions, simply named VOICE. Each convention brought together those eager to learn about voiceover and many of the top professionals in the voiceover field. Our VOICE conventions were held in Las Vegas, Los Angeles and Anaheim, CA. Recordings of each convention are available in the VOICE Store at www.VoiceActing.com. James Alburger directing a VO session. James is one of the most generous, knowledgable instructors out there. He wrote the bible on Voice Acting with is book The Art of Voice Acting. He cares, he gives of himself freely, he knows what he's talking about and I am honored to have him amongst one of my most favorite coaches on the planet. Jim is one of the most gifted teachers I have ever had the privilege of working with. He has such kindness toward his students and teaches with empathy and encouragement. He has a way of making everyone feel they can fulfill their dreams. And he makes sure his students know THEY are far more important to him than the money they could pay him. He’s one of a kind with immeasurable talent and knowledge. I am proud to call him a friend.